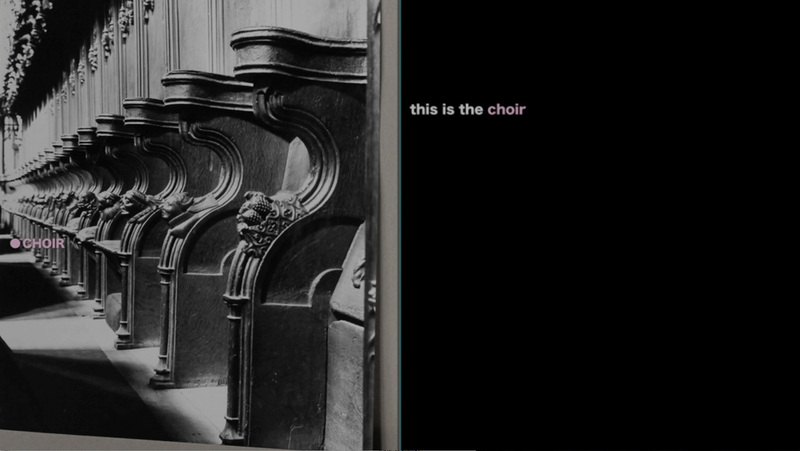 Elizabeth Price: The Woolworths Choir of 1979 (film still, 2012). HD video, 18:00 mins. Courtesy the artist and MOT International. Mark Clintberg: Hair series (2012-ongoing). Inkjet print on newsprint, dimensions variable. Courtesy of the artist. Photo: Toni Hafkenscheid. Kim Kielhofner: Foursquare (2011). Installation view at Doris McCarthy Gallery, Scarborough. Four-channel video installation, dimensions variable. Courtesy of the artist. Photo: Toni Hafkenscheid. Hazel Meyer: diarrhea (2014). Cotton, fabric, dye, thread, drapery, 518.2 x 228.6 cm. Courtesy of the artist. Photo: Toni Hafkenscheid. 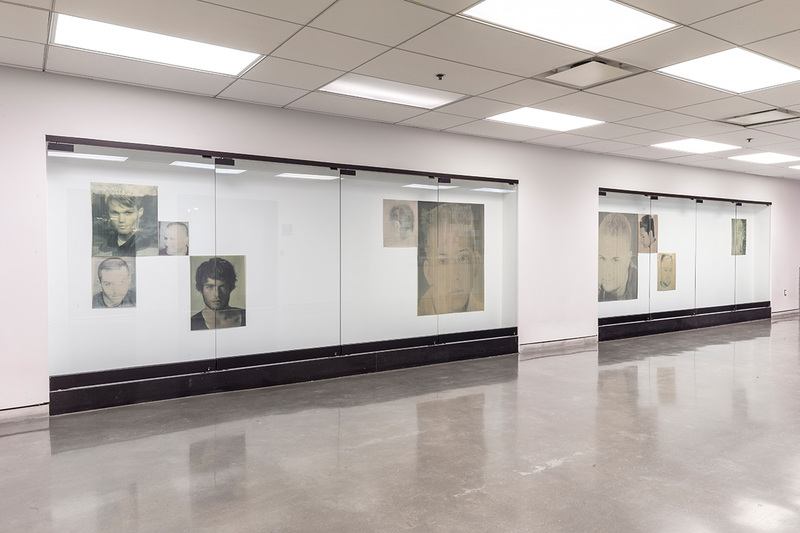 TEMPERMENTAL, installation view at Doris McCarthy Gallery, 2015. Photo: Toni Hafkenscheid. Growing up with two gay moms, I learned firsthand how queer sexualities in heteronormative society create subtle social and emotional ruptures. From early on, I understood that you can control how people see you by controlling what they know about you. For me, secrecy was a product of fear: my parents’ queerness was the secret shame I hid to avoid being made fun of or excluded. In an adult world, the stakes are higher, and the need to navigate potential prejudice or violence often leads people to be judicious about where and how they disclose their sexual identity. 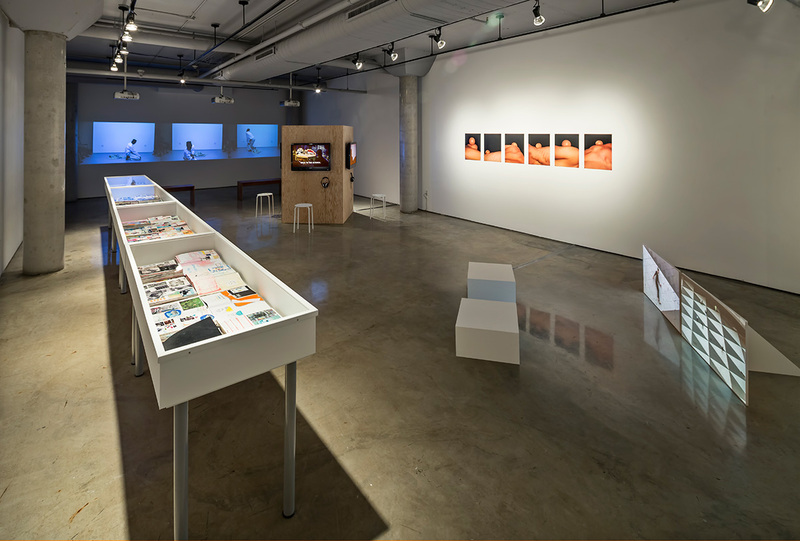 For the group exhibition TEMPERAMENTAL, at the Doris McCarthy Gallery, curator Erin Silver brought together film, photography, installation, dance and performance by 12 artists that draw attention to the ways in which queer life appears or disappears in social space. During the pre-gay liberation era, queerness was often an open secret, meaning a person’s sexuality could be known without being explicitly affirmed. Several of the works in TEMPERAMENTAL perform this kind of deferred presence. 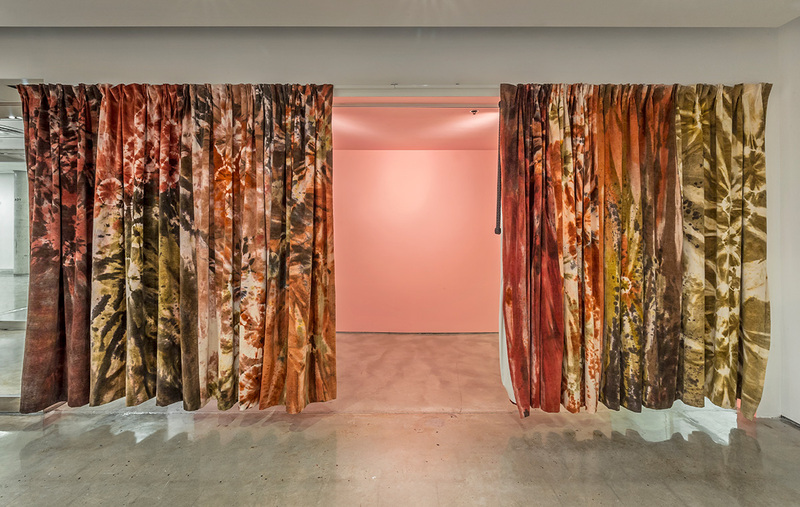 Hazel Meyer’s Diarrhea (2015), for example, transforms an existing vestibule in the gallery into an entirely pink space, then closets it away behind camouflaged, velour curtains. Mark Clintberg’s Quiet Disco (2013) emits the muffled sounds of what could be a lively party next door, a hotbed of potentially illicit activity that remains forever out of sight. Conversely, staring at my reflection in the stencilled mirrors of Will Munro’s Mirror series (2005), I was pulled into direct relation with a history of queer dance parties. The precarious position between visibility and invisibility is further examined in Elizabeth Price’s outstanding 18-minute video, The Woolworth’s Choir of 1979 (2012). The former pop musician uses linguistic play and visual metaphor to articulate the ways in which a person’s sexual identity is imperilled when hidden out of view. Her film suggests that laying bare one’s sexuality is ultimately healthier and safer for all. In another room, several works play with different ways of evading rigid, heteronormative identities. Throughout A Composite Field (2014), taisha paggett’s excruciatingly slow dance movements show a fluid escape from basic gender binaries. Other works, like Emily Roysdon’s performance video or Brendan Fernandes’ photo series, embrace queer identity by showing re-configurations of bodies in space. Montreal artist Kim Kielhofner does this in another way: the collage and editing techniques in her videos and journals thoroughly obfuscate the legibility of her subject position. It took me until my 20s to be comfortable enough to divest myself of the secret shame of my parents’ sexuality. Life became much easier once I’d managed to form a strong sense of self, and relax honestly into my relations to other people. 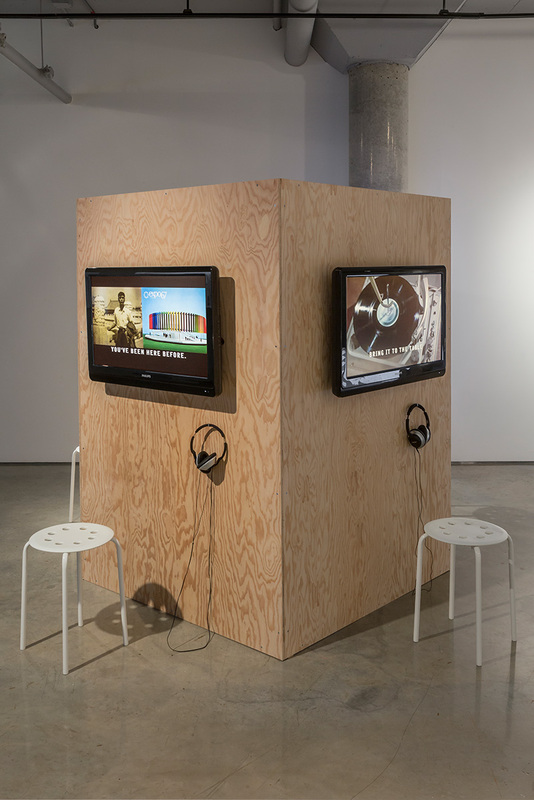 For all of the quiet reflexivity and subdued humour of the works collected at the DMG, the off-site, participatory performance Boy Band Audition (2013) by Alexandro Segade & Mateo Segade was a perfect punctuation to the show. At the Gladstone Hotel, the artists led their audience though all the dancing and singing stages of an extended audition. 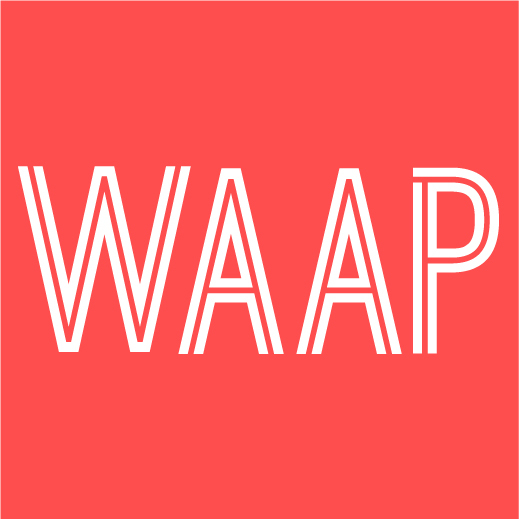 The willingness to be vulnerable and honest enough to risk looking foolish in a room full of other people is the kind of openness and bravery that the exhibition’s queer aesthetics gesture towards.